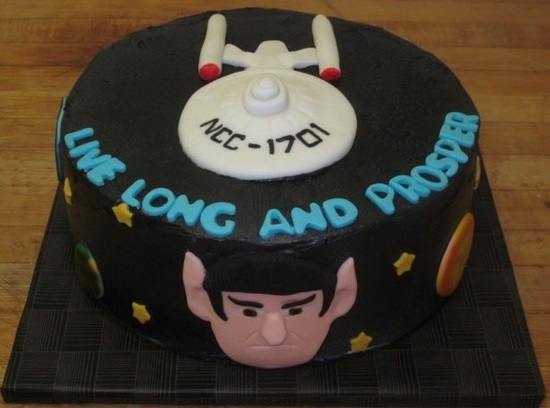 Star Trek really doesn’t need any introduction, it’s been around since the year 1966 and to date has been one of the most popular tv series ever created. 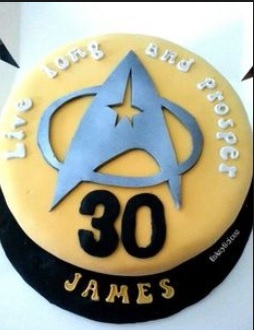 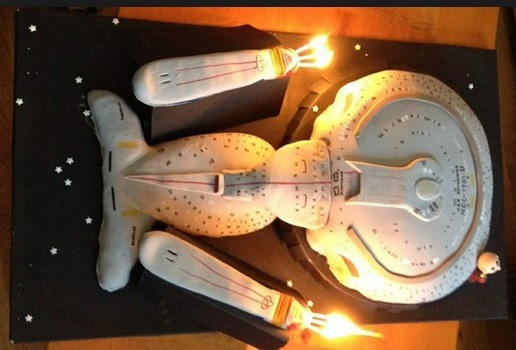 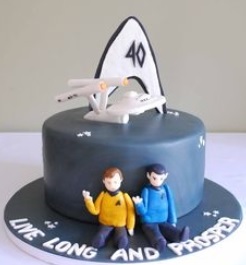 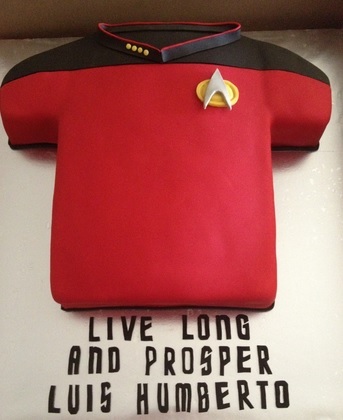 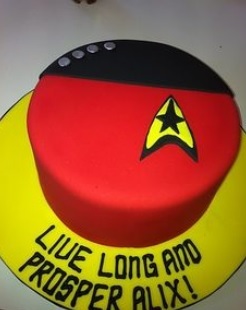 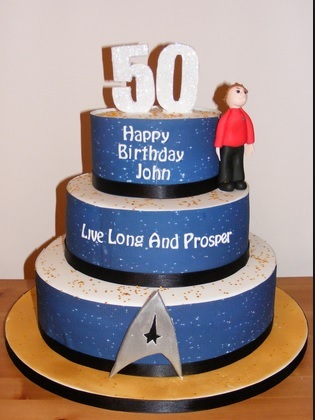 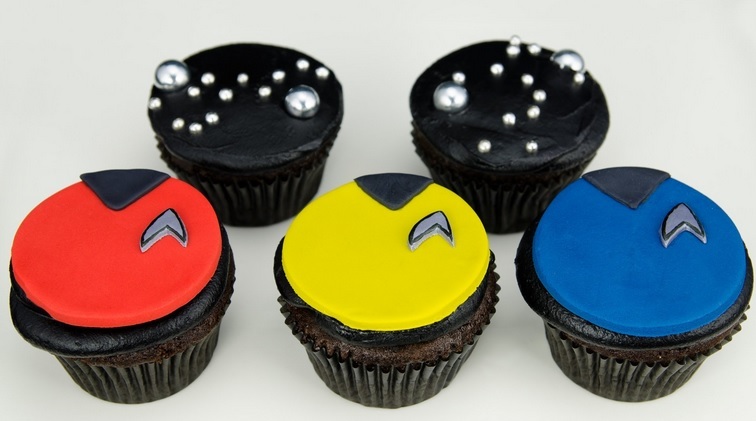 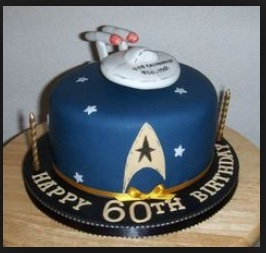 Star Trek cakes are a fantastic idea and a common choice for birthday cakes as the fan club is still massive. 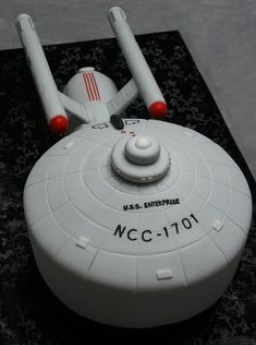 Making a Star Trek cake is quite simple depending on how far you want to take the design, most common designs are adding the star trek badge on to the cake as a decoration but you can certainly take it a step further and make a cake of the enterprise ship.